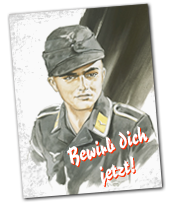 Im Development Update #184 gibt es einige Informationen zum geplanten COOP Modus, Regen-Effekten, und der Kollisionsphysik von Fahrzeugen mit Bäumen. Wichtigste Information vorweg: Das Pazifik-Theater muss warten. Dies ist der Tatsache begründet, dass es sich als schwieriger herausgestellt hat als ursprünglich angemommen, verifizierte Daten und Quellen für japanische Flugzeuge zu erhalten. Außerdem dürfte die Entwicklung von Schiffen und Flugzeugträgern (auf denen dann auch Lande- und Startvorgänge realitätsnah simuliert werden können) auch nicht gerade einfach sein. Many Allied and Axis airfields, cities, towns and villages. Winter and Summer textures are planned. New Allied and Axis Ground Units and Scenery. Damit nähert man sich dem an, was es vor zehn Jahren bereits im Ur-IL-2 Sturmovik gab. Damals die Glanzzeit der Community! Wir hoffen auf ähnlich erfolgreiche Jahre in der Zukunft. 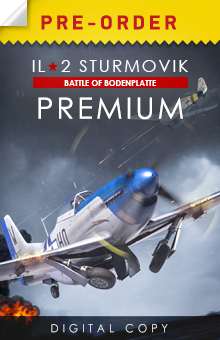 Übrigens: Battle of Bodenplatte als auch die Collector-Planes Bf-109 G6 und La-5FN können bereits im Vorverkauf bestellt werden. today is a real milestone for the project - we just released the 2.012 update, one of the biggest ones ever. We already told you in Dev Blogs what it will bring, but here's the quick overview. 1. New Hs 129 B-2 Collector Plane with many unique features and very varied weaponry. 2. Kuban map available in three seasons (Spring, Summer and Autumn). 120 thousands of square kilometers large (400 x 300 km), the biggest map in the new generation of IL-2 to date. Please note that the work on improving the AI is underway and it is not very proficient in mountain flying, we will work on it this Autumn. The map is huge, so we'll be fixing the issues that may be found in Early Access. 3. Updated FM for all aircraft. The total list of FM changes is very long, you can check it out below. 4. Together with the Kuban map, we're releasing many AI controlled ships: G-5, G-5 project 213 and S-38 torpedo boats, Type A landing barge, Type ? (Shch) series X and Type IIB submarines, Soviet Type 7 destroyer. 5. Completely new shadow tech that allowed us to increase the shadows resolution in the cockpit, render outside shadows several times further, show the own plane shadow on the ground and make tree shadows more realistic. 22. Subtitle displaying and Ju 88s dropping bombs was corrected in the 15th mission of the 'Blazing Steppe' campaign. 23. Soviet torpedo boat G-5. It's low weight of 17 tons and two aircraft engines allow it to go as fast as 100 km/h (55 knots). It is armed with two 12.7 mm DShK machine guns and two 53-38 torpedoes. 24. Soviet rocket boat G-5 project 213. On this model, torpedoes were replaced by MRLS that fired 24 M-8M 82 mm rockets. 25. German torpedo boat Schnellboot S-38. Weighing up to 100 tons and going up to 50 knots fast, it was armed with two 20 mm MGC 30 and Flak 30 guns and two torpedo tubes with up to six 533 mmm G7a torpedoes (one in each tube and four on the deck). 26. German landing barge Marinef�hrprahm Typ A (240 tons weight, armed with 88 mm SKC 35 gun and 20 mm MGC 30 gun. 27. Soviet submarine Shch-10 (type Shchuka, 'Shchuka' meaning pike). Surface displacement 578 tons, armed with two 45 mm 21-K guns, 4 bow and 2 stern torpedo tubes with 10 533 mm torpedoes. 28. Small German submarine U-Boot-Klasse IIB. Surface displacement 279 tons, armed with 20 mm MGC 30 gun, 3 torpedo tubes with 5 533 torpedoes total. 29. Soviet Type 7 destroyer (1600 tons, up to 38.5 knots speed). Armament: 4 130 mm B-13-I guns, 2 76 mm 34-K guns, 2 45 mm 21-? guns, 2 twin 12.7 mm Colt machine guns, 2 12.7 mm DShK machine guns, 2 triple 533 mm torpedo launchers 39-Yu.